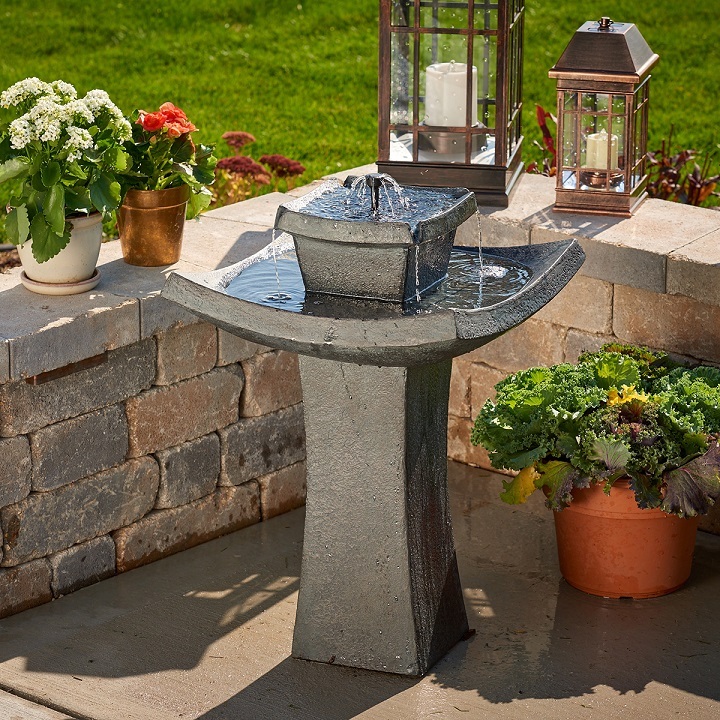 Create a relaxing atmosphere on your deck, patio or in your garden with this Mahayana Two-Tier Solar Water Fountain with Solar-On-Demand technology. 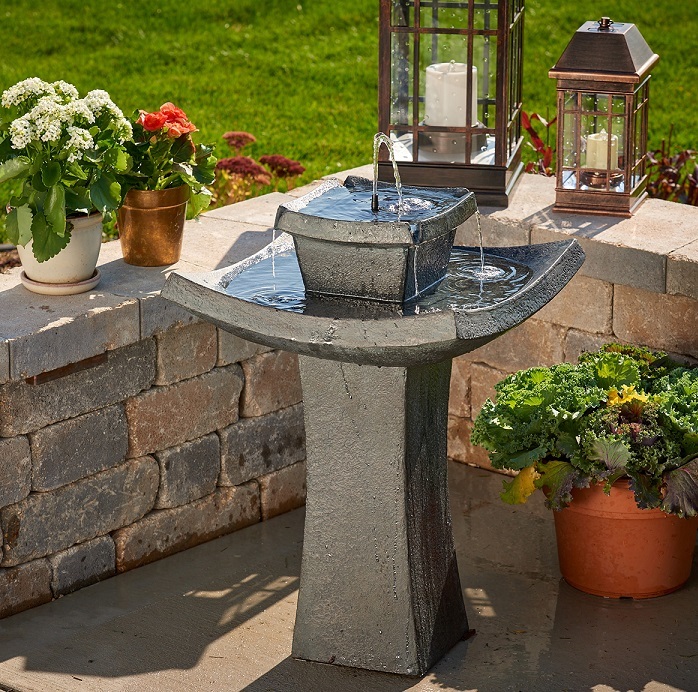 This solar fountain pumps water up through the fountain head and then deliveries the water to the top resin bowl, then the water will fill over into the base re-cycling the water constantly. 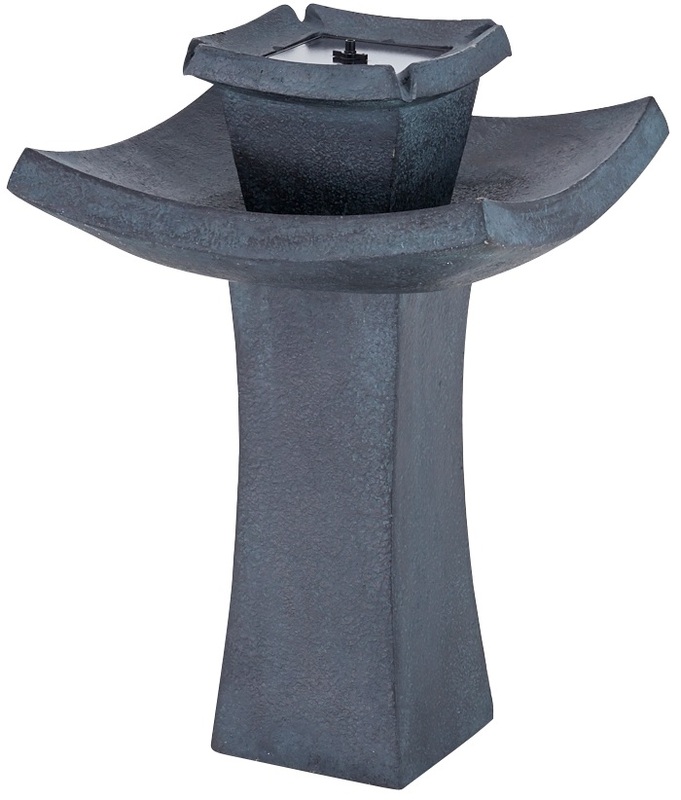 This two-tier solar fountain operates daily and also uses a battery backup to provide consistent performance even on cloudy weather, or simple turn the unit off to charge the battery during the day for night time use. The battery will fully charge under direct sunlight and will operate up to 6 hours.